Memorial Park Dental Spa (Houston) - Book Appointment Online! 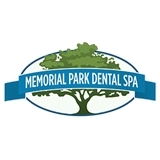 Memorial Park Dental, is a premier provider of dental services in the Houston Metro area. With a focus on patient care we know that while you value your dental health your life doesn't resolve around dentistry so we aim to provide the most painless and comfortable dental experience possible. From free on-site massages, to convenient appointment times (early morning, late evening and Saturday's! ), to relaxing dark lit rooms and overhead TV's we aim to transform your dental appointment to be as seamless as possible. Dr. Thomas, Dr. Abdou and Dr. C along with their friendly team, have created a serene, comfortable environment where your well-being comes first. Our focus is on making sure you are healthy and comfortable at all times. Whether you’re interested in cosmetically enhancing your smile with Invisalign®, veneers, implants, or simply need a checkup and cleaning, you’ve come to the right place. Plus, with a licensed massage therapist on staff, you can be put at ease the moment you walk in the door. Excellent first time visit. Everyone (Staff) is so welcoming and wanting to make you feel as comfortable as possible. I was seen right away and got out of the office within an hour. I definitely recommend this office to everyone.